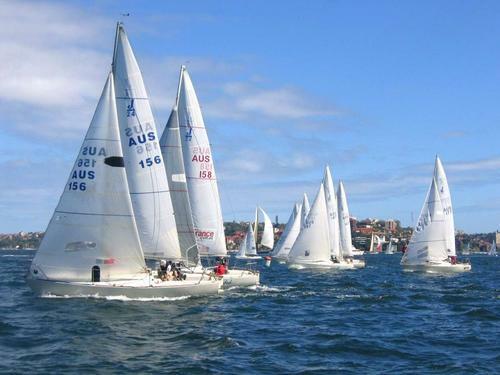 Catch the spirit of the Sydney to Hobart Yacht Race! The Sydney to Hobart Yacht Race starting on the Boxing Day every year is known to be one of the toughest long ocean races. It wouldn’t be wrong to note that Boxing Day in Sydney is almost synonymous with the yacht race! It is a major summer sport of Australia that attracts viewers and contestants from the different parts of the world, not to mention the media! The race starts at Sydney Harbour attracting spectators who gather in large numbers along the shore as well as on cruise boats and other vessels. Helicopters hover at a distance above the contesting fleet to catch the excitement of the race for the various visual media around the world. Cruise boats provide special cruises on this day providing also the best vantage points to view the beginning of the race. Aboard the Sydney Showboat, one can cruise around the Sydney Harbour and catch the spirit of the race as the crews of contesting yachts warm up for this world-famous event, and view the start at close quarters. The luxury cruise boats of Magistic Cruises are chartered exclusively by private groups to watch and share the thrill of the sport. The cruises take you near where all the action is allowing you to experience the actual excitement of the race! And the delicious seafood buffet freshly prepared onboard adds to the joy of the ride! In Sydney, December is eagerly awaited not only for celebrating Christmas and the New Year’s Eve, but also for celebrating Boxing Day which falls on the day after Christmas. If you were not Australian or British, you would probably associate Boxing Day with the sport of boxing, and you would be embarrassingly wrong! Boxing Day is the day when people generally open their boxes of Christmas gifts. Also, traditionally, employers boxed Christmas gifts for their employees on this day, from whence the day gets its name. The bargain shopping season begins in many places on this day. In Sydney, people celebrate Boxing Day with as much fervour as they celebrate Christmas! The Sydney to Hobart Yacht Race, which begins at the Sydney Harbour, is an event held on this day and which attracts a great deal of visitors from around Sydney and farther away! The yacht race, every year, has entrants from the world over. To experience the real thrill and spirit of the race, just book yourself on a cruise around the Sydney Harbour. You can catch all the pre-race excitement from a Sydney Showboat on its Boxing Day Showboat Lunch Cruise before lining up to watch the start of the race and cheer the teams on! Or if you really want to make a party of it, there are the Magistic Cruises that are available for private charter! All these cruises provide quality food freshly prepared onboard. The race attracts visitors in large numbers and the passes for the cruises are usually sold out long before the event. So ahoy there! What are you waiting for?